None Call Me Dad and he blogs about parenting and Michigan State sports on his website, www.nonecallmedad.com. Check out her website at www.gontzagames.com. She is also a partner in Gemini Wordsmiths, a full-service copyediting and content creating company. Visit www.geminiwordsmiths.com for more information and testimonials. Ann reviews books for Amazing Stories Magazine, an online sci-fi magazine which can be found at www.amazingstoriesmag.com, and is an Assistant Editor for Red Sun Magazine, www.redsunmagazine.com. Her most recent publishing credit is a poem in the Fall 2015 issue of Space and Time Magazine. She is a graduate of the Bram Stoker award-winning author Jonathan Maberry’s short story writing class. Lisa Montagne is a former correspondent for the Philadelphia Theatre Review and Features Editor for the Picolata Review, her short stories have appeared in magazines and journals such as StraightJackets Magazine and HESA Inprint. In 2007 Kastner was featured in the Fresh Lines @ Fresh Nine, a public reading hosted by Gross McCleaf Art Gallery. 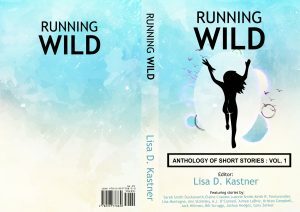 She founded Running Wild Writers and is the former president of Pennwriters, Inc. (www.pennwriters.com). She received her MFA in Creative Writing from Fairfield University, her MBA from Pennsylvania State and her BS from Drexel University (She’s definitely full of it). Her novel THE KEEPER OF LOST THINGS was shortlisted in the fiction category of the William Faulkner Words and Wisdom Award and her memoir BREATHE was a semi-finalist in the nonfiction category of the same award. Born and raised in Camden, New Jersey she migrated to Philadelphia in her twenties and eventually transported to Los Angeles, California with her partner-in-crime and ever-talented husband. They nurture two felonious felines who anxiously engage in little sparks of anarchy. Aimee LaBrie works as a communications director at Rutgers University. She earned her MFA in fiction from Penn State, and her MLA from University of Pennsylvania. Her short story collection, Wonderful Girl, was awarded the Katherine Anne Porter Prize in Fiction and published by the University of North Texas Press in 2007. Her second collection of stories, A Good Thing, placed as a finalist in the BOA Short Fiction Contest. Her short stories have been nominated for a Pushcart Prize and published in Pleiades, Minnesota Review, Iron Horse Literary Review, Permafrost, and other literary journals. In 2012, she won first place in Zoetrope’s All-Story Fiction contest. You can read her blog at www.butcallmebetsy.blogspot.com. Sounds good. Thanks for sharing and for the giveaway chance. Sounds like a great anthology! Thank you for the great review and hosting us!